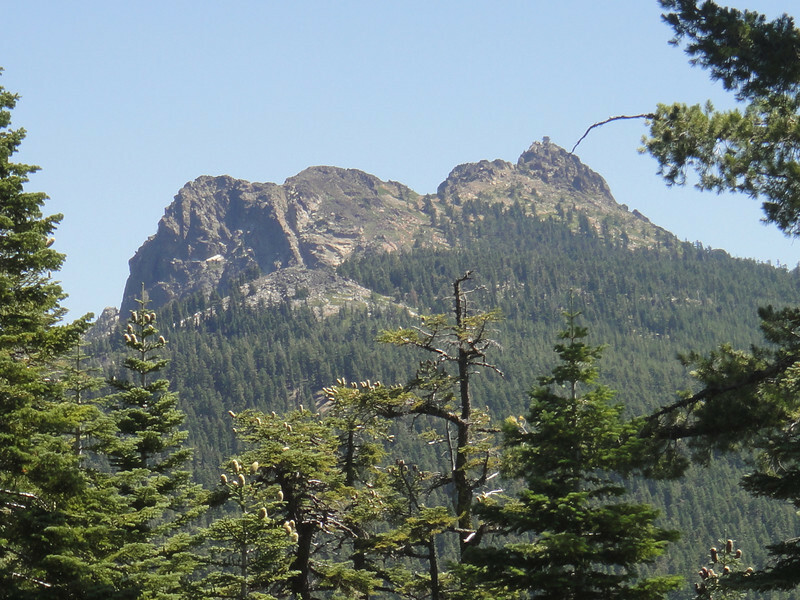 The Sierra Buttes as seen from the west. The lookout tower is perched atop solid rock. This photo was taken last summer during an ATV ride to the buttes via a different and easier route than I took today.